Lahore is undoubtedly ancient. Legend had it that it was founded by Loh, son of Rama, the hero of the Hindu epic, the Ramayana. Some others think that the name means Loh-awar, meaning a "Fort as strong as Iron". It waxed and waned in importance during the Sultanate. But, Muslim rule began here when Qutub-ud-din Aibak was crowned in Lahore in 1206 and thus became the first Muslim Sultan of the subcontinent. It reached its full glory under Mughal rule from 1524 to 1752. It was Akbar's capital for the 14 years from 1584 to 1598. He built the massive Lahore Fort on the foundations of a previous fort and enclosed the city within a red brick wall boasting 12 gates. Jahangir and Shah Jahan (who was born in Lahore) extended the fort, built palaces and tombs, and laid out gardens. Jahangir loved the town and he and his wife Noor Jahan are buried at Shahdara. Shah Jahan was born in Lahore and added buildings. The last of the great Mughals, Aurangzeb (1658-1707), gave Lahore its most famous monument, the great Badshahi Masjid and the Alamgiri gateway to the fort. During the eighteenth century, as Moghul power dwindled, there were constant invasions. 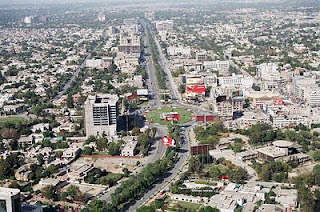 Lahore was a suba- a province of the Empire. There were subadars, provincial rulers with their own court. These Governors managed as best they could though for much of the time it must have been a rather thankless task to even attempt. The 1740s were years of chaos, and between 1745 and 1756 there were nine changes of Governor. Invasions and chaos in local government allowed bands of warring Sikhs to gain control in some areas. Lahore ended up being ruled by a triumvirate of Sikhs of loose character and the population of the city invited Ranjit Singh to invade. He took the city in 1799. Holding the capital gave him some legitimacy; he became Emperor. The Sikh period was bad news for the protection of ancient buildings. Some survived, misused and knocked about a bit and a few new ones were added. Nevertheless, descriptions of Lahore during the early 19th century refer to it as a "melancholy picture of fallen splendor." The British added a great many buildings, plenty of "Moghul Gothic", as well as some shady bungalows and gardens. Early on, the British tended to build workaday structures in sites like the Fort, though later they did start to make an effort to preserve some ancient buildings. The Lahore Cantonment, the British residential district of wide, tree-lined streets and white bungalows set in large, shaded gardens, is the prettiest cantonment in Pakistan. 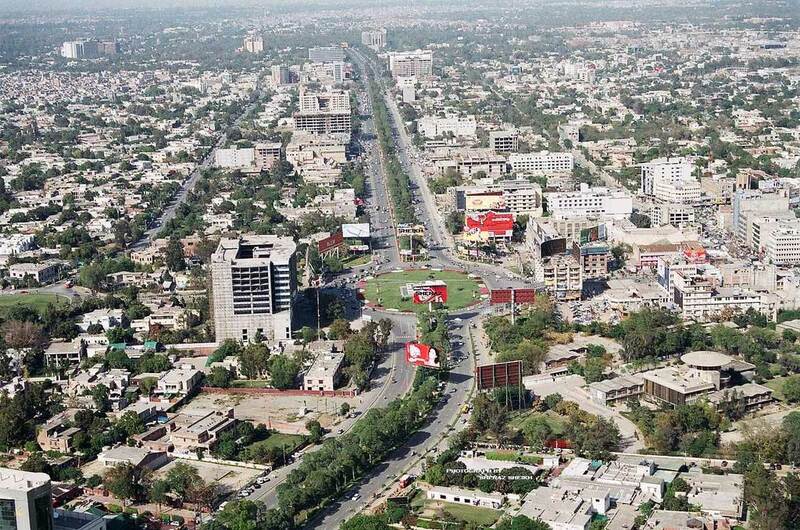 Lahore is still growing, and Just like any other city, there is incessant redevelopment. Old buildings become replaced by modern concrete architecture.